Deutsche Telekom and China Unicom have announced a strategic partnership at Mobile World Congress 2017. 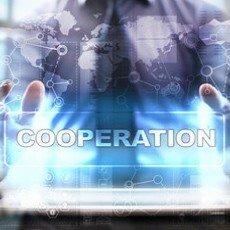 From now on, both firms will jointly enhance their M2M competencies and promote the expansion of existing and new technologies such as NarrowBand IoT and the expansion of IoT platforms, with the goal: to lay a firm foundation for continued growth and joint business opportunities in Europe and China. The cooperation allows customers from Deutsche Telekom to equip and manage devices with M2M connectivity also in China and manage this connectivity via the same portal that they use for Europe and other regions. China Unicom customers will experience the same benefits on the China Unicom portal when they are offering M2M products and solutions in Europe. This move is important because the demand for global M2M connectivity is steeply increasing. According to the GSMA, China will account for 39 % of all global cellular M2M connections by 2020, representing by far the largest M2M market. German technology and service companies are already investing heavily in tapping the potential of the emerging Chinese M2M and IoT markets. On the other side, Chinese Internet and technology companies have entered the field of IoT through wearable intelligent terminals, smart home, mobile health care, and many other businesses, and are eager to offer their services also in Europe. The interconnection of the Deutsche Telekom and China Unicom platforms will offer simple access for German and Chinese M2M customers to the other respective network.